Telltale Games has become an expert at publishing games as a running series of storybook-style chapters, and the company has previously created titles from such heavyweight franchises as Game of Thrones and The Walking Dead. 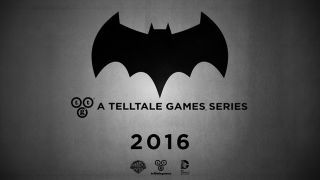 Now the US software studio is turning its attention to the caped crusader: next year we'll see Telltale Games take on the story of Batman in partnership with Warner Bros. and DC Entertainment. Platform details have yet to be finalised but you can expect to see the series on consoles, PCs and Macs, and mobile devices. "This iteration of Batman will give fans a first-hand opportunity to dive deeper into the complex life and mind of Bruce Wayne, the duality of his own identity, and the struggle of responsibility in saving a city overcome with corruption and villainy," says Telltale's CEO Kevin Bruner. An announcement was made on-stage at The Game Awards show in Los Angeles, together with a brief teaser trailer that doesn't reveal very much. An official version of the teaser trailer is due to hit the web soon. The company has also announced a new three-episode special in its ongoing interpretation of The Walking Dead universe. The Michonne spin-off will focus on the titular character "struggling to maintain her own humanity" as she's separated from the main group of survivors. Michonne will be voiced by Orange Is The New Black star Samira Wiley. There's no fixed release date for either of these new titles yet, but the new The Walking Dead series will be available on PC/Mac, PlayStation 3, PlayStation 4, Xbox 360, Xbox One, Android and iOS. Now all we need is Season 3.